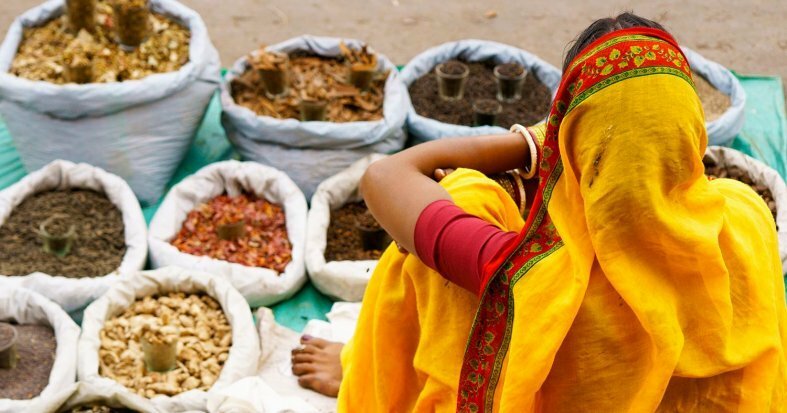 Experience the land of a thousand colors starting with the multicutural city of Delhi. Explore the rose pink city of Jaipur and admire the majestic Taj Mahal in Agra - one of The Seven Wonders of the World. 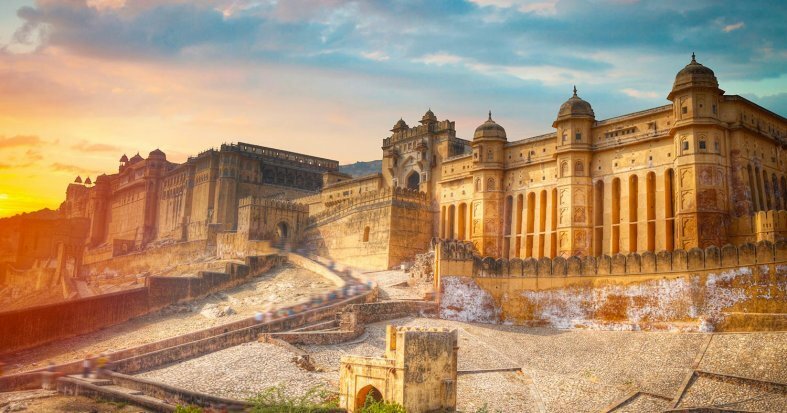 In Rajasthan, the golden city of Jaisalmer, The Thar Desert and the mystic Jodhpur Fort are all yours to discover. * If your flight arrives in Delhi early in the morning and you require your room before 2PM, you can purchase Early Check-In the next step of the booking process. * If you take an overnight return flight, your last night in the hotel will be until your departure time for the airport and the total duration of your trip will be 12 days. If your return flight departs in the evening, your arrival in the U.S. will be the following day and the total duration of your trip will be 14 days. Arrive at U.S. departure airport ready to check-in for overnight flight to Delhi. Arrival in the capital of India and transfer to hotel. Delhi is a city with an impressive architectural legacy of its Islamic conquerors along with a spectacular historical center. The rest of the day free to rest or to get to know this lively, fascinating city. Overnight in Delhi. Breakfast at the hotel. Depart by road to Mandawa. 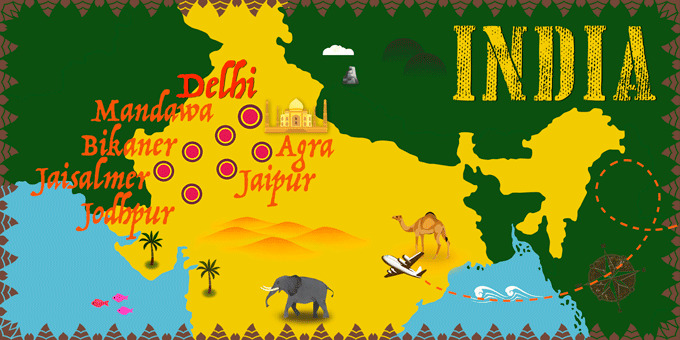 En-route, pass through authentic villages and enter through some of the most rural parts of India. 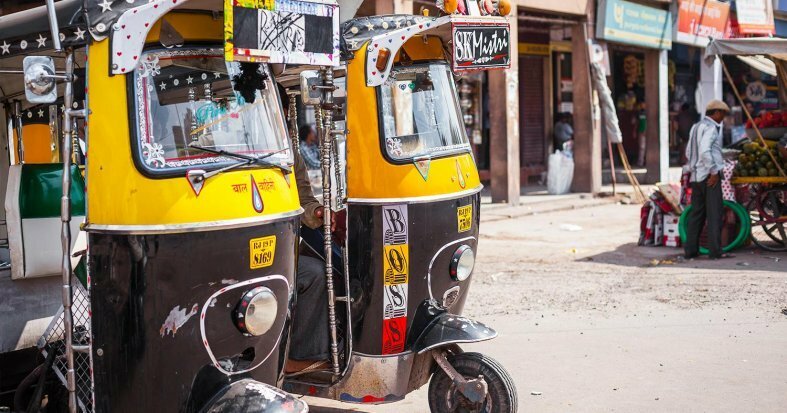 On arrival in Mandawa, enjoy a walk through the streets of the city. See the amazing Havelis - mansions noted for their frescoes depicting images of British colonial rule. Overnight stay. Breakfast at the hotel. Depart by road through the arid lands leading to the Bikaner Desert Kingdom - a major center of trade during the 16th century. In the afternoon visit the spectacular Junagarh Fort, with its impressively decorated interiors. 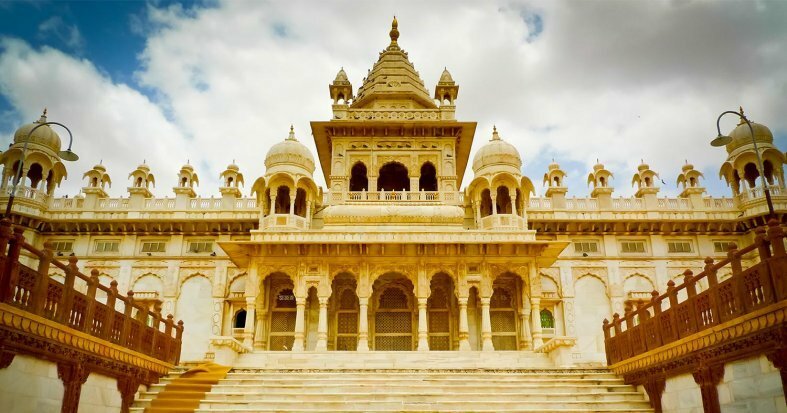 Also visit Lalgarh Palace, Karni Mata Temple and Gajner. Overnight stay. Breakfast at the hotel. 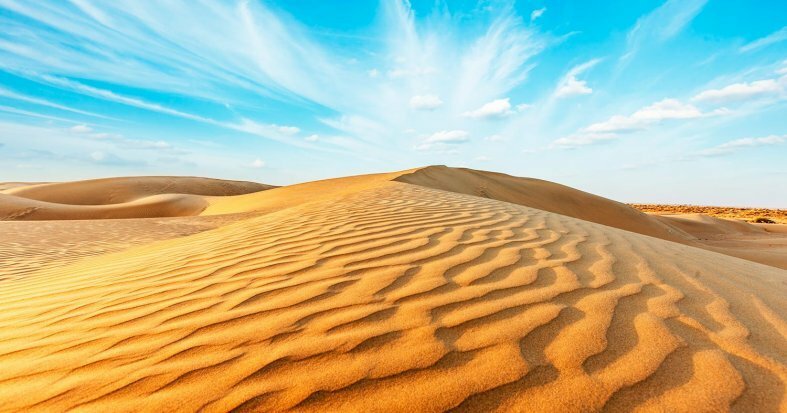 Enter the Thar Desert by road until arriving at the city of Jaisalmer. This was an important trading center for many centuries and presently one of the few forts that is still inhabited. Transfer to the hotel and the rest of the afternoon is free for discovering the city. Perhaps visit the Thar Heritage Museum or the Maharaja's Palace for a taste of kingly splendour. Overnight stay. Breakfast at the hotel. Today explore further the golden city of Jaisalmer. 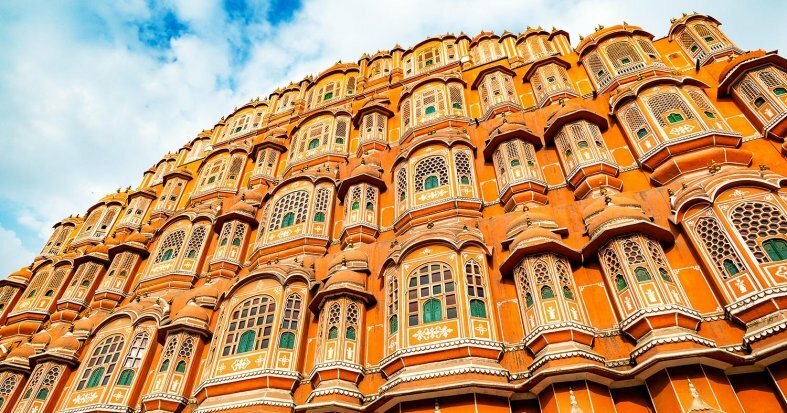 See the magnificent Golden Fort and take a stroll through the city’s lanes. 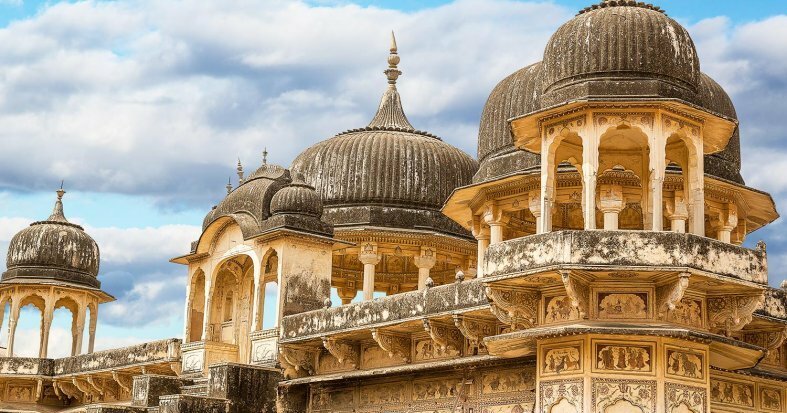 There is also plenty of time to enjoy the famous palatial features of the city and visit Tania Tower, the Havelis, Jain Temples and Gadsisar Lake. The rest of the day is free to enjoy this beautiful city. Overnight stay. Breakfast at the hotel. Transfer by road to Jaipur. 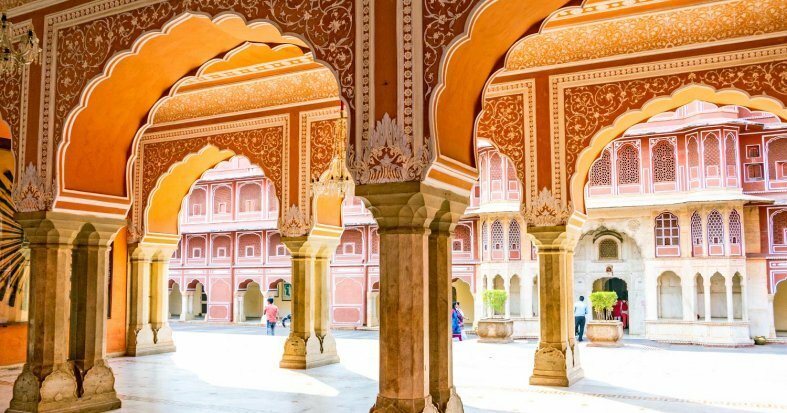 Arrive at your hotel and the rest of the day is free to start to get to know the Rose-Pink City of India. We recommend a wander through some of the markets in the area to see the unique handicrafts and jewelry on offer. Overnight stay. Breakfast at the hotel. Leave for Agra. 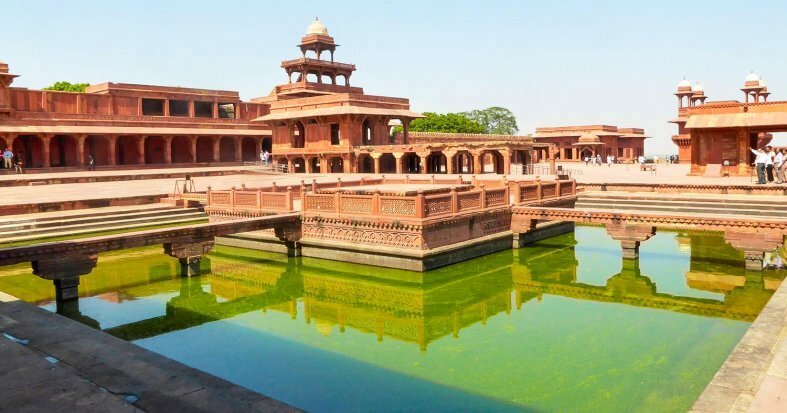 During the trip, visit Fatehpur Sikri, an impressive ghost town in India where the tomb of Salim Chisti, the Punch Mahal is located. Arrival in Agra, the capital of the sultans and great Mughal emperors. 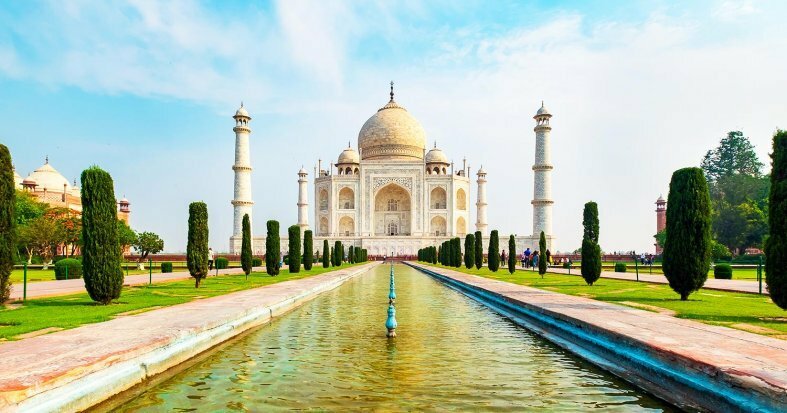 Visit the famous and much anticipated Taj Mahal, one of the seven wonders of the modern world. 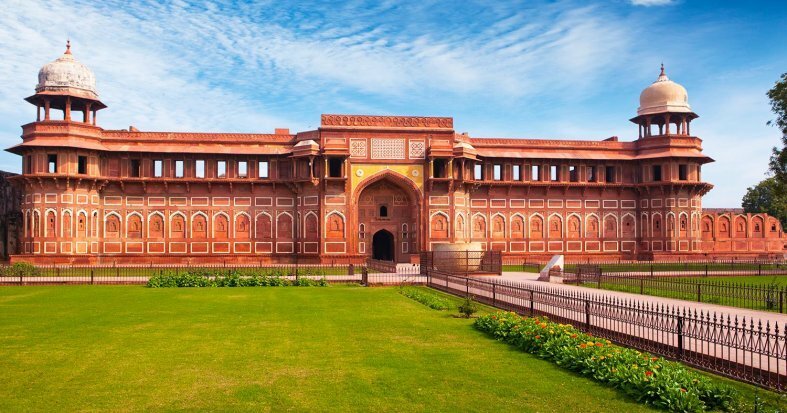 Also explore the Red Fort of Agra, which in its interior contains an impressive set of palaces and stately buildings. Overnight stay. Breakfast at the hotel. Return to Delhi. Upon arrival, visit the Raj Ghat, where Mahatma Gandhi was cremated. Afterwards, transfer to the Gateway of India, the residence of the country's president and also visit Humayun's tomb, declared a World Heritage Site by Unesco in 1993. Overnight stay, flight depending. 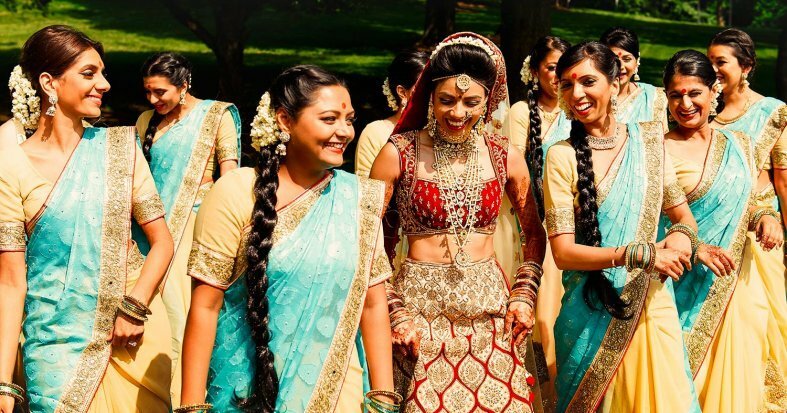 13th Day: Delhi - U.S. If you take your flight today, breakfast at the hotel. Transfer to the airport ready to check-in for the return flight back to the U.S. Arrive at the end of your trip. Guidance for the appropriate amounts: Restaurants: 10% of the total amount of the bill; Hotels: between 800 and 1000 IRN ($11-14) per night. We recommend using the tip box in reception for this purpose, whenever possible and available. Butlers and porters: 100 IRN ($1.50) per large suitcase and 50 IRN ($0.75) per small bag; Transfers to the airport: between 100 and 150 IRN ($1.50-2.50) to the porters. Driver: between 400 and 1000 IRN ($6-14) per day. Guide: between 1000 and 1500 IRN ($14-22) per day. Triple room: the third bed will be a rollaway bed. Breakfast at the hotel. 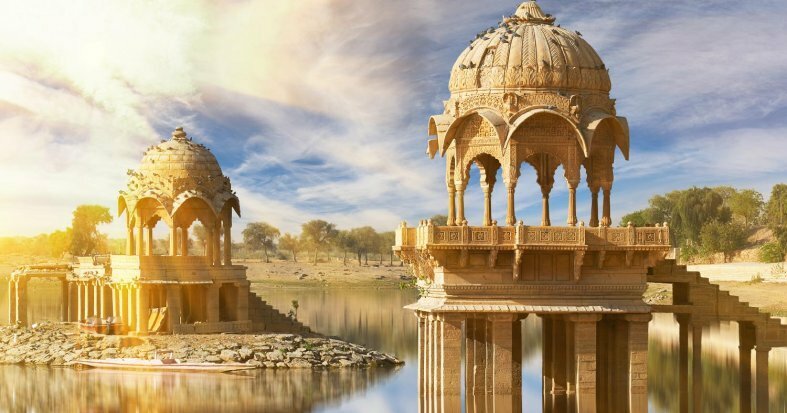 Today explore farther the golden city of Jaisalmer. 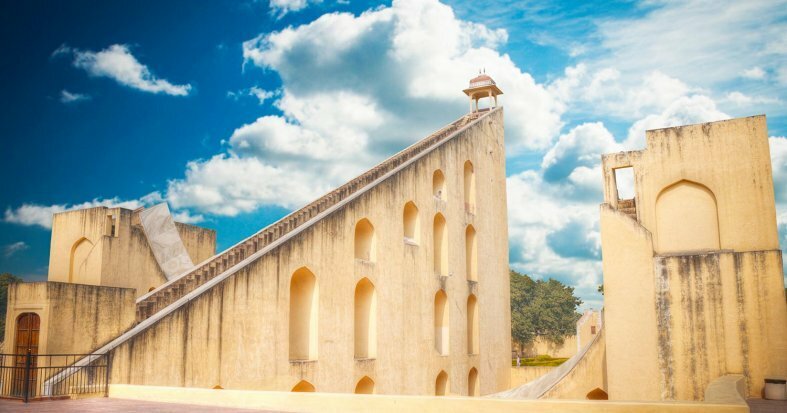 See the magnificent Golden Fort and take a stroll through the city’s lanes. 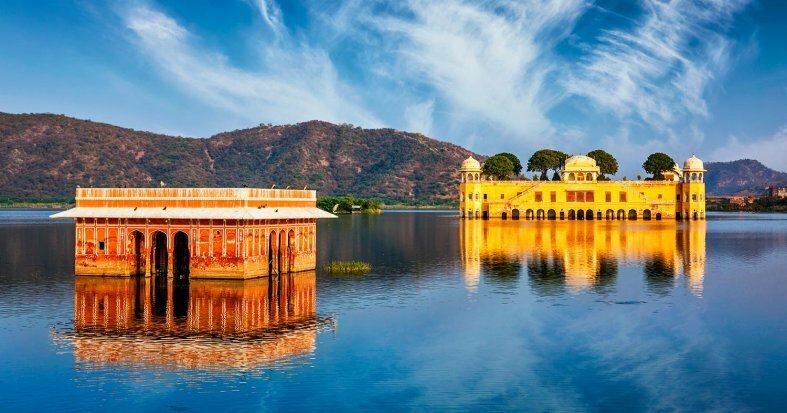 There is also plenty of time to enjoy the famous palatial features of the city and visit Tania Tower, the Havelis, Jain Temples and Gadsisar Lake. The rest of the day is free to enjoy this beautiful city. Overnight stay.